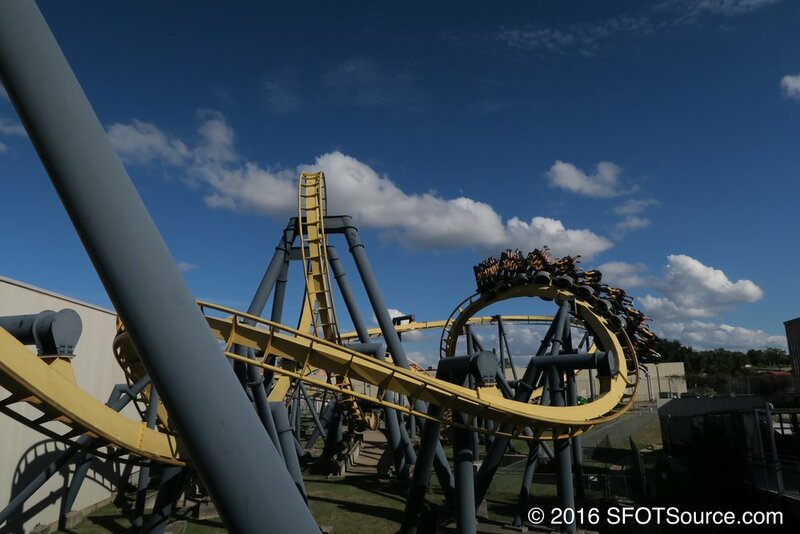 Goliath is a mirrored version of Batman: The Ride at Fiesta Texas in San Antonio. 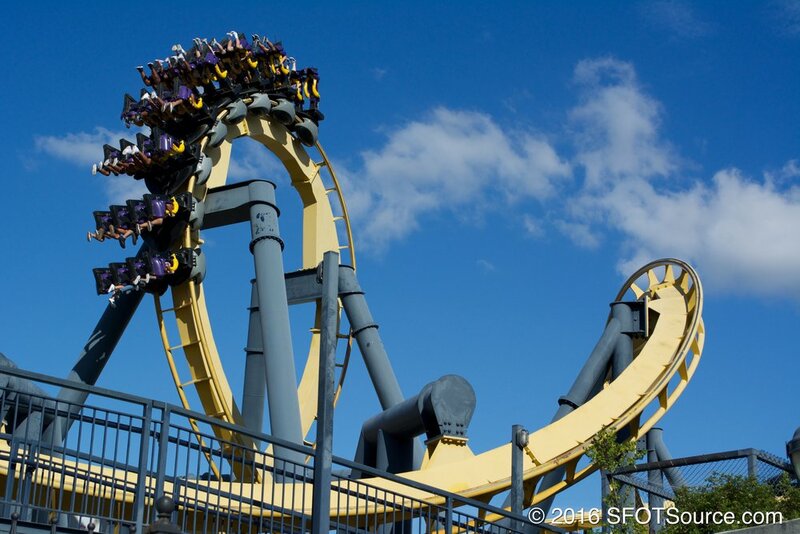 Batman: The Ride was one of the the first major roller coaster to begin the era of ride "cloning" (Vekoma Boomerang coasters were also heavily cloned around this time). Cloning refers to the act of various theme parks all purchasing and installing the same roller coaster layout. Six other Six Flags parks share the same ride design as Six Flags Over Texas and five of them call it Batman: The Ride. (Known as Batman: The Ride at Great America, Magic Mountain, Great Adventure, St. Louis, and Six Flags Over Georgia. 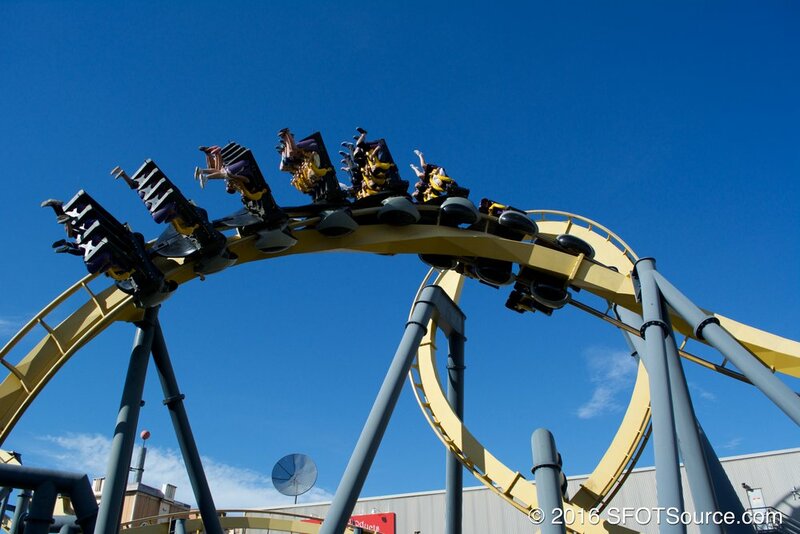 The ride, though mirrored, is known as Goliath at Six Flags Fiesta Texas (relocated from the defunct Six Flags New Orleans where it was known as Batman: The Ride). 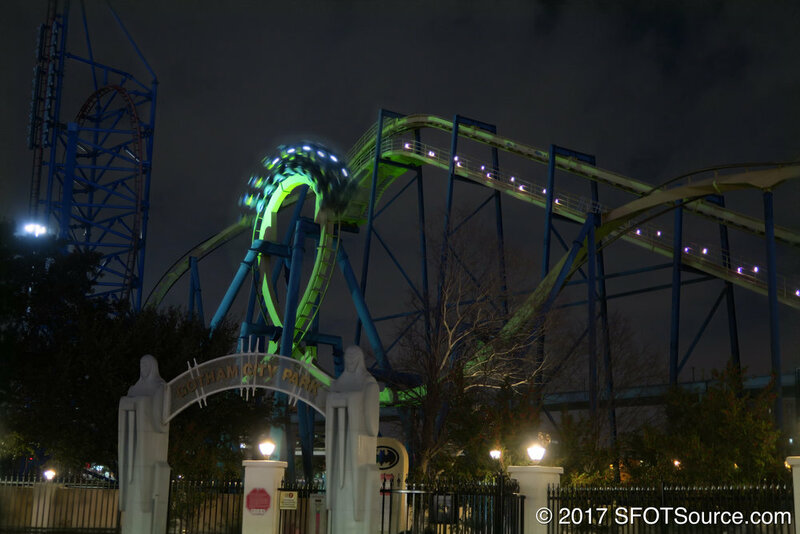 Three of these layouts exist within just hours of each other in the state of Texas (Six Flags Over Texas, Six Flags Fiesta Texas, and SeaWorld San Antonio). 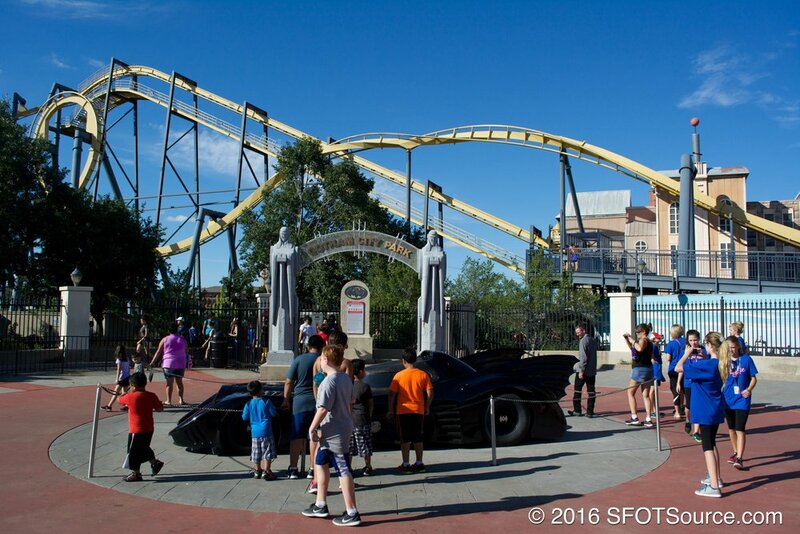 In 2014, Six Flags Over Texas announced that Batman: The Ride would operate backwards as part of the coaster's 15th anniversary celebration at the park. Six Flags Over Texas did not have special trains for the occasion nor did they flip the existing trains backwards. The Six Flags chain had a set of touring backwards trains that made their way to a number of the parks. In the summer of 2014, the trains made their way to Six Flags Over Texas for a short stay and allowed guests to enjoy the ride in backwards fashion. 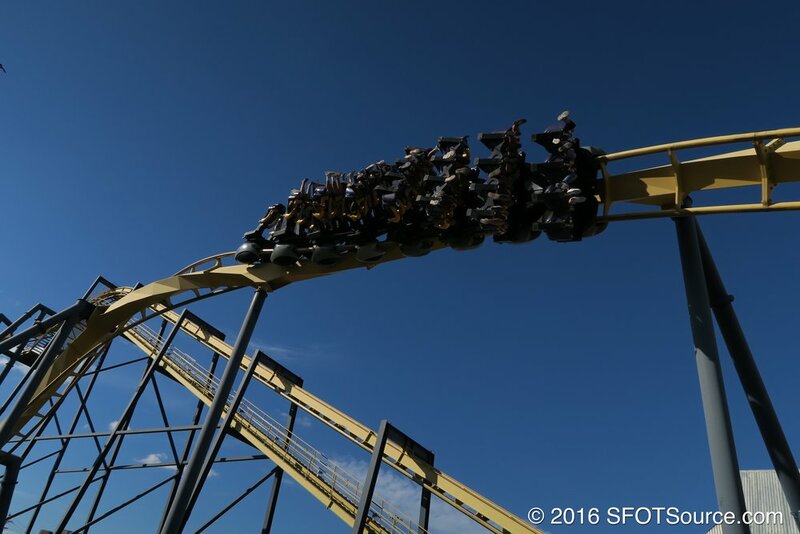 Batman: The Ride operates backwards for a limited time during the summer. These backward trains are rotated from one Six Flags park to another.